This HAS to be the best way to start a new week, with a team of beautiful community hearts sharing love and blessings with hundreds and hundreds of elderly folk and children this morning at 1,000 Hills Community Helpers Centre. Dawn Faith Leppan, the work you do and have done for so many years in the community never ceases to inspire us! 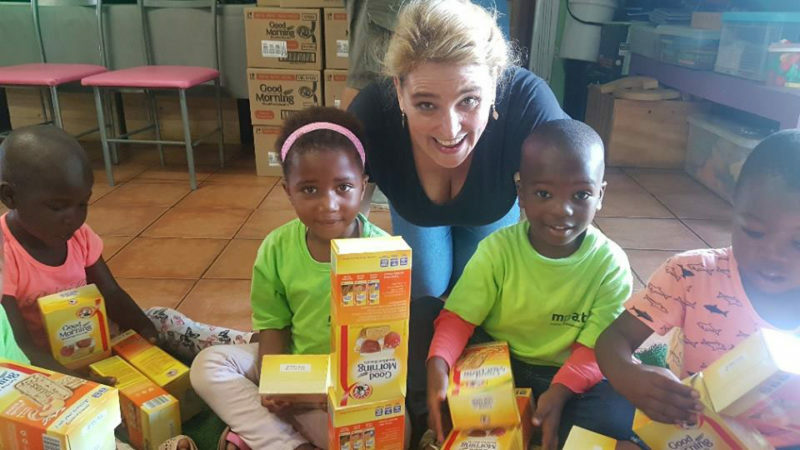 Thanks to a very generous donation of thousands of breakfast biscuits, we visited the Gogos and Mkulus that attend the free clinic at the centre on a Monday as well as over 300 children in the creche. What a blessing for us to play a small part in brightening their day!